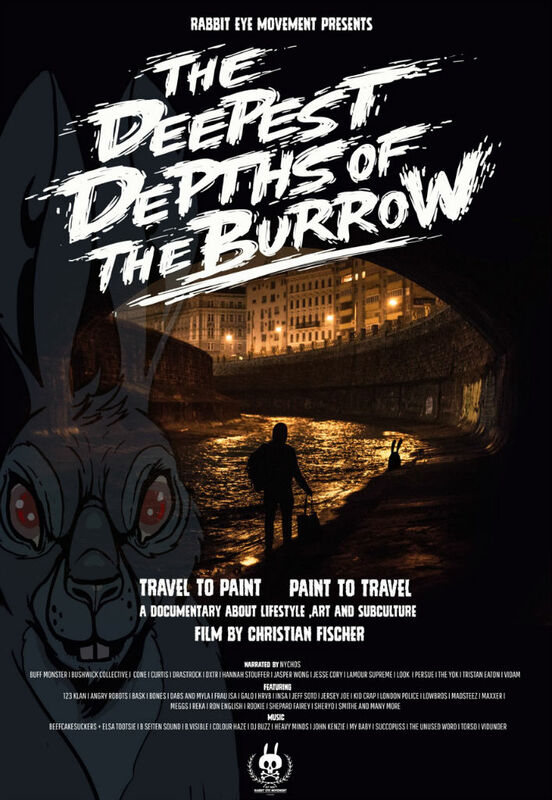 On April 15th 2015 we celebrated the world premiere of our documentary The Deepest Depths of the Burrow which took place in the well-known cinema Gartenbaukino in Vienna, Austria followed by a succesful cinema tour throughout America. Many people were not able to attend one of our premiere events and have been waiting to see this full length documentary about Lifestyle, Art and Subculture by themselves in the comfort of their own living rooms. Tonight, we are celebrating the online launch at our X-MAS party at the REM Art Space. Swing by and join us for a cup of home made Glühwein. How does Vimeo on Demand work? You are now just a few clicks away to watch the documentary. Vimeo is a very user friendly service which supports indie movie makers like us. You do need to create a quick log-in which takes just a couple of minutes. We offer the option to both stream or download the movie entirely. The website supports several paying options such as creditcard and paypal. We warmly recommend to watch the movie in Full HD. Nychos is an illustrator, Urban Art- and Graffiti artist who became known with his street concept RABBIT EYE MOVEMENT (REM) 10 years ago. The icon of the movement is a white rabbit, which has been breeding since then and has been popping up in the streets all over the globe for the past decade. This is exactly what Nychos thrives for – he travels the world to spread his art and his REM concept. Within the last two years Nychos was accompanied by filmmaker Christian Fischer who recorded these journeys to create a full lenght movie. ”The Deepest Depths Of The Burrow” is a documentary about art, lifestyle and subculture. The movie captures the experiences of Nychos and other members of RABBIT EYE MOVEMENT within the last several years. Exceeding the Austrian scene, they flew from Berlin to San Francisco to Copenhagen to Hawaii and many more places to visit artists who all provide a unique view into their (street) culture – They lead Nychos through the streets of their home cities and show them the deepest depths of their burrows. ”Travel to paint, paint to travel” is the motto,which runs like a golden thread throughout the entire movie. Words, which catch the spirit of RABBIT EYE MOVEMENT. ”The Deepest Depths Of The Burrow” shows images which highlight the contrasts between Urban Art and Graffiti from various angles and captures the mutual passion for Urban Art in an unique way.